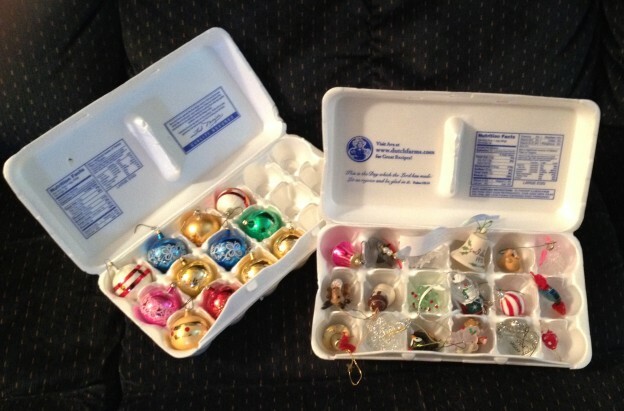 1) I use old egg cartons to store and keep my small ornaments safe without having to wrap them each individually. 2) I try to keep the ornaments in the boxes that they came in if possible. The really old, family keepsake ones I wrap in tissue or bubble wrap. For the fabric and/or plastic ones, I try to organize them into similar groups and store them in large Ziploc baggies. 3) The living room is where the majority of my decorating takes place. I store the decorations in bins according to the area they will go. I only bring the bins in for the area I plan to work on. That way they aren’t just sitting there, cluttering up the room until I want them. 4) I always start with the bins containing my artificial, pre-lit tree ~ don’t judge ~ and the ornaments bin. The next bin I bring out contains the stocking, garlands and wreathes. Then I get the bin with the Nativity, followed by the village and finally the bin holding all my Christmas pillows and throws. 5) I also use a separate bin (or bins) for each additional room I decorate, for exp. one is labeled kitchen – one is labeled bathroom … yes I decorate these rooms ~ again, don’t judge :), this way I can only bring the bins I need at that time. This entry was posted in My Thoughts & Opinions, Organization, Personal Assistant and tagged bins, Christmas, Christmas in July, decorations, Holiday, organizing, storage, Tips on July 25, 2014 by Tracy. 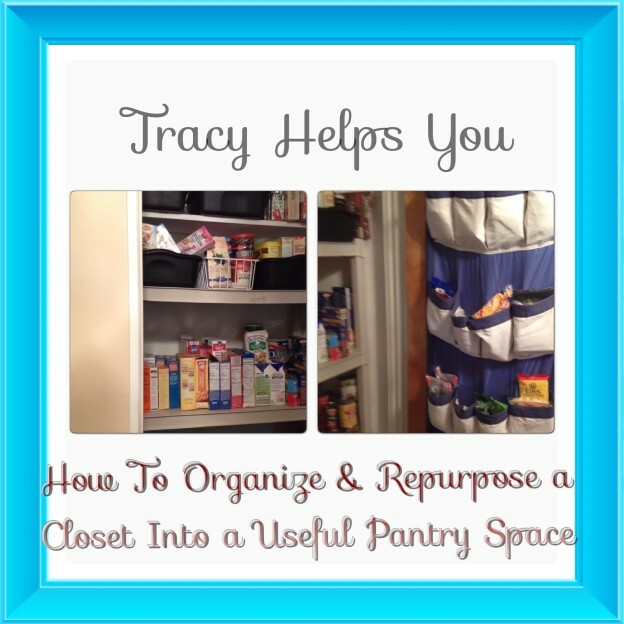 This entry was posted in Organization, Personal Assistant and tagged closet, Help, kitchen, organize, pantry, repurpose on July 18, 2014 by Tracy. 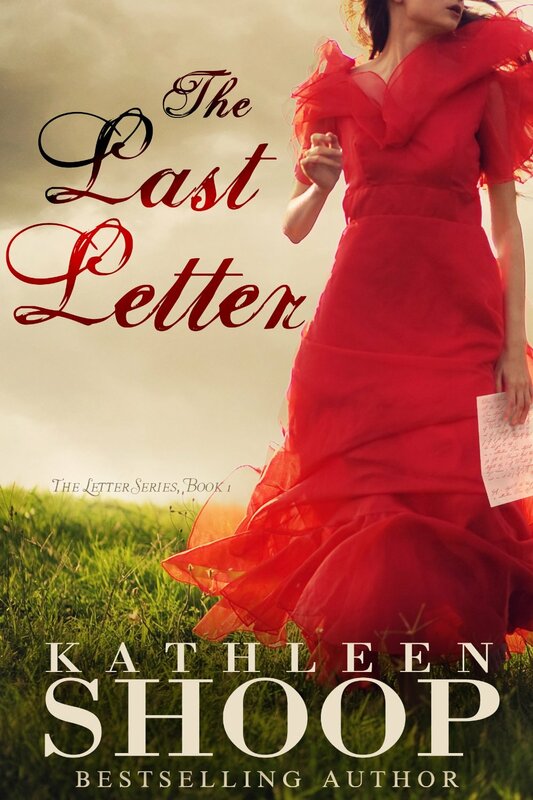 Kathleen Shoop does a wonderful job describing life on the prairie in this story of historical fiction. Many authors romanticize the life that pioneers led, but actual history shows us the true hardships they endured on the prairie. The story pivots back and forth in time, from 1888 ~ Dakota Territory and 1905 ~ Des Moines, Iowa … from Jeanie’s point of view and Katherine’s … mother and daughter. The Arthur family led a high society, privileged life until a scandal sent them to head for the hills – literally. They found a small cooperative community of several homesteading families and moved into a nearby abandoned dugout. Life was extremely hard on this spoiled family. Jeanie and Frank had a hard time adjusting from high society to barely existing on the harsh prairie. They endured every hardship imaginable, fire, grasshoppers, blizzards, drug addiction, infidelity, and even death. Needless to say, relationships were strained to the breaking point. I don’t want to give away too much of the plot (or what’s in the last letter), so I highly recommend reading this book to learn for yourself how this family managed to survive. 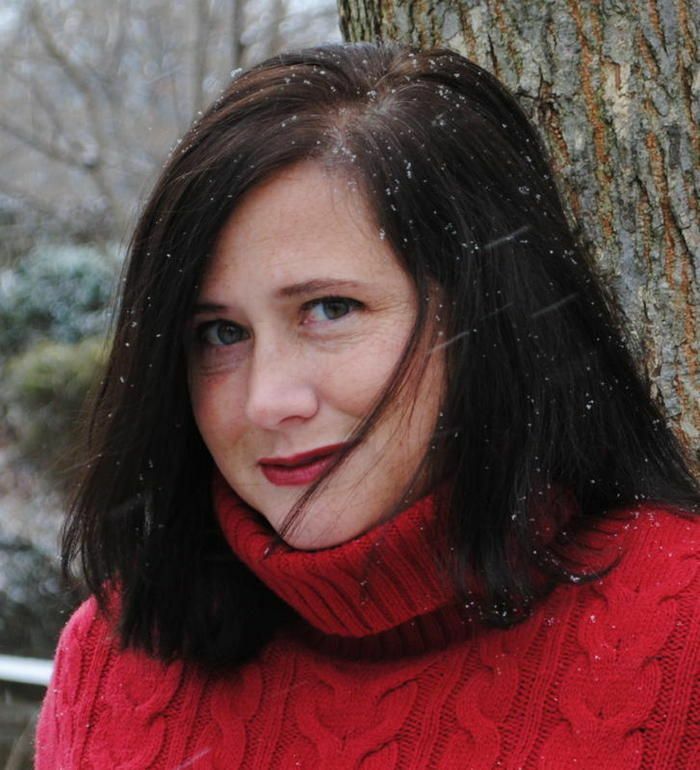 Language Arts Coach with a Ph.D. in Reading Education, Kathleen lives in Oakmont, Pennsylvania with her husband and two children. Kathleen has released the her first romance novella, Home Again (Book One). Book Two, a novel-length work in the Endless Love series called Return to Love, will be released in May, 2014. 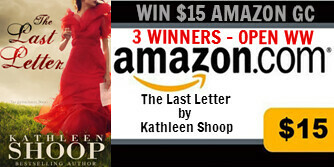 This entry was posted in My Thoughts & Opinions, Personal Assistant, Reviews and tagged Amazon, Book, Gift Card, Giveaway, Kathleen Shoop, Review, The Last Letter on July 11, 2014 by Tracy.